By Hazel Chua on 12/01/14 • Leave a comment! Getting a greeting card from a friend is awesome. Getting to eat it afterward is awesomer. You won’t be able to chew on that card unless it’s made by Eat The Fine Print though, or you’ll probably get a bad case of indigestion. The company specializes in making edible greeting cards that almost taste as good as the message written in it…almost. 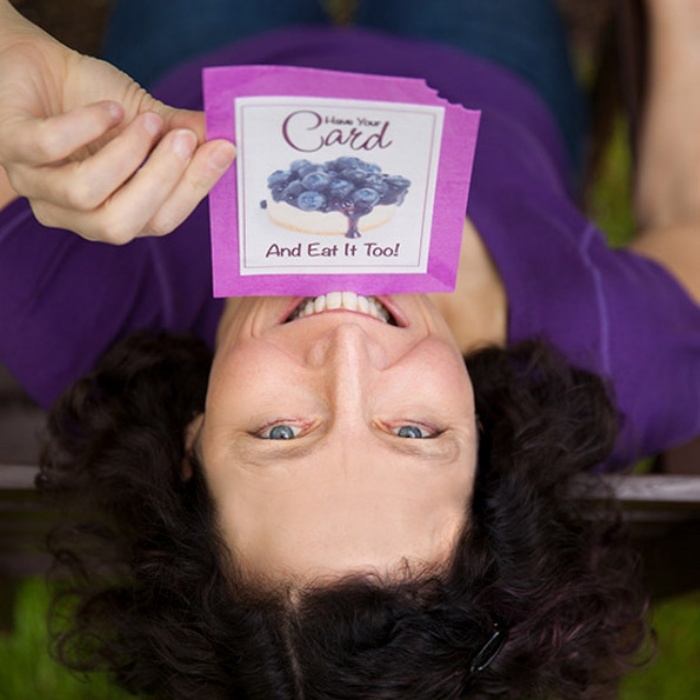 The cards come in four flavors: blueberry, orange sorbet, key lime, and strawberry. In case you were wondering about dietary requirements, the cards are vegan, gluten-free, soy-free, and dairy-free, and they won’t ruin your diet since they only contain 42 calories. Who needs a kid when you’ve got a dog? We kid, because we all know parenthood changes everything and that nothing beats the joys (and pains) of being a parent. In the meantime, you can redirect your parenting tendencies to your lovable pooch while you’re childless and yearning for some love and affection. Parents are always dressing their kids up in mini-me outfits, and there’s no reason you should miss out this year, because Funky Tails has come up with these matching sets of owner-and-pooch sweaters that are as adorable as they sound. They look horrible as most Christmas sweaters do, but this time, your canine best friend will share in the humiliation. If you’re resigned to wearing an ugly sweater this Christmas like you do every year, then make it this one. It’s the Street Fighter ugly Christmas sweater from Yellow Bulldog and it’s as ugly as you’d expect an ugly sweater to be. 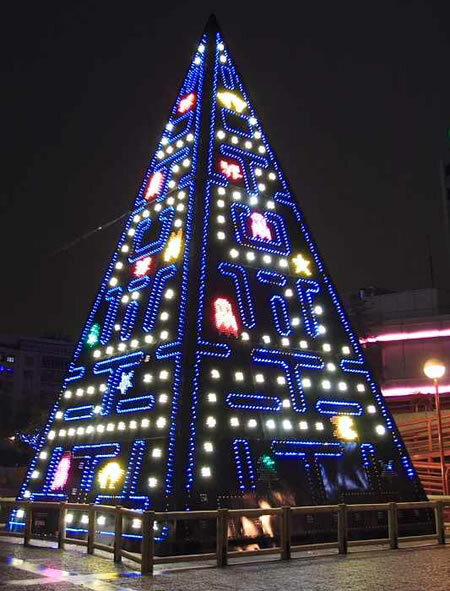 What sets it apart from the rest is that it features none other than Ken and Ryu, right smack in the pixelated middle. Who knows? 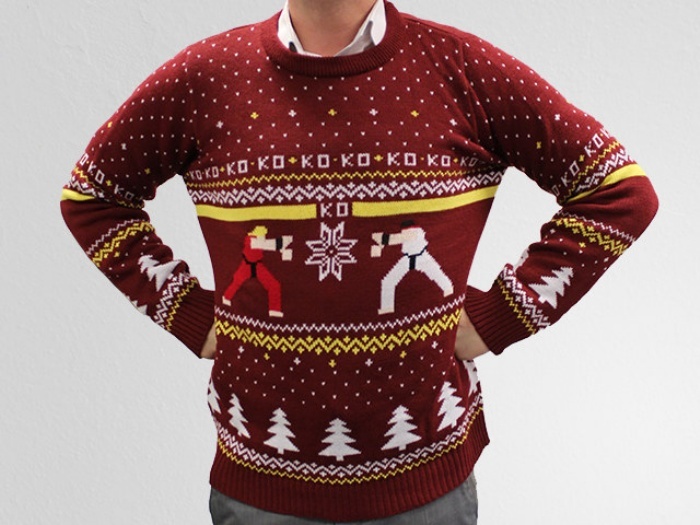 The sweater just might hadouken its way into your heart and permanently into your wardrobe. By Hazel Chua on 12/24/13 • Leave a comment! Some people like it hot. Not hot as in piping hot, but hot as in spicy, Sriracha hot. That might be fine for a bunch of food and drinks, including popcorn and candy canes, but what about Christmas cookies? 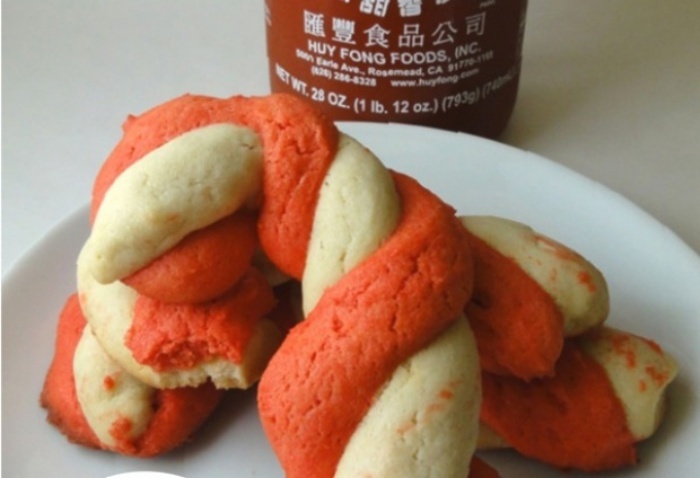 You’ll have to be the judge of that by baking your own batch of these sweet and spicy candy cane cookies. The white part is plain sugar cookie dough, while the red bit is the red spiced dough where the sweet peppermint in traditional recipes is replaced with Sriracha instead. The result is something that you’ve probably never tried before. 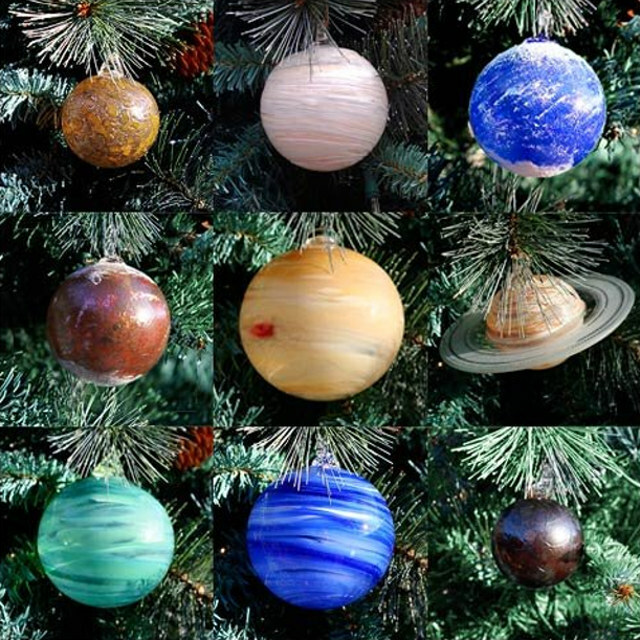 The holidays are in full swing! 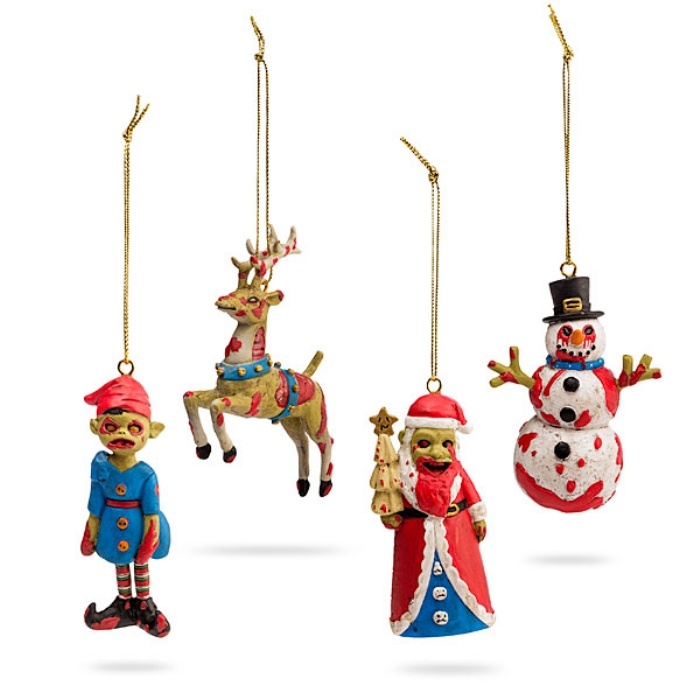 The tree is up, the presents are wrapped and piled neatly underneath, and everyone’s heading over to grandma’s to meet, catch up, and present some random relatives with some ugly Christmas sweaters. 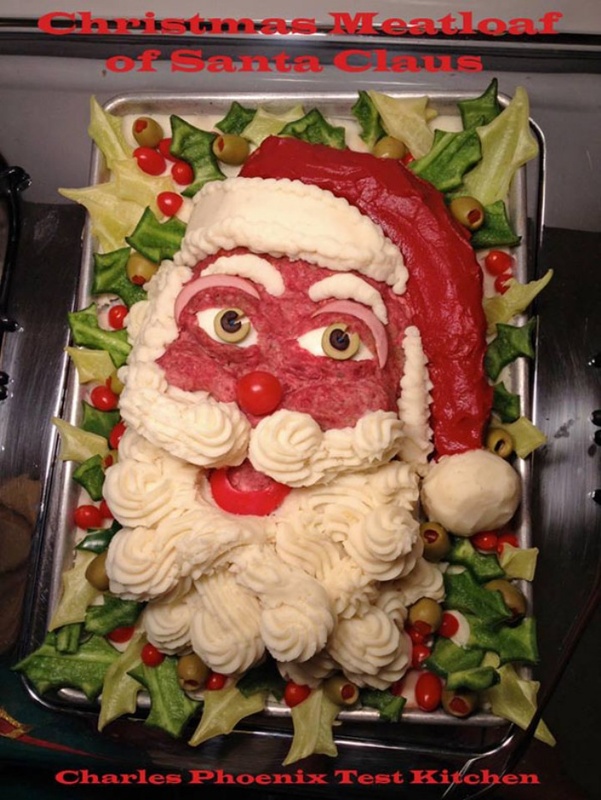 Then there’s that one relative who comes to the party with some creative-but-creepy-looking Santa Claus meatloaf. If someone actually does show up with something that at least resembles the one pictured here, then you’ll know where they got the idea from: Chef Charles Phoenix.